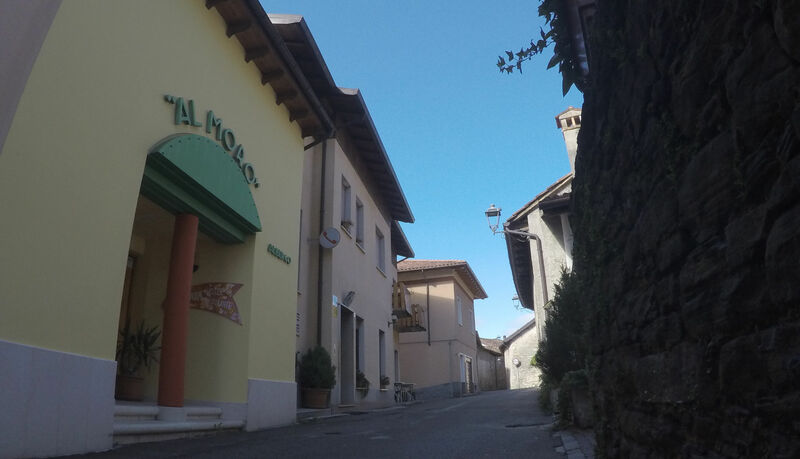 In the heart of the Val Belluna, between Feltre and Belluno, the Hotel Restaurant “Al Moro” welcomes its guests near the sixteenth-century square of Mel. It offers a traditional cooking, enriched of today's flavours, linked to the past values and that still keeps ancient flavours of herbs, mushrooms and traditional local products, that follow the alternation of the seasons; you can find classical courses such as the game (venison, chamois, deer), rabbit or pork grilled meat, the delicious cheeses produced in the 'malgas' (shepherd's huts in the mountains) and in the local dairies. You have only to sit down and taste a unique cooking. The Municipality of Mel, situated in the centre of the Val Belluna, on the left side of river Piave, is definitely one of the most interesting historic centres of the province of Belluno, in fact it obtained twice running the coveted recognition "bandiera arancione" (orange flat – a tourist and ambient quality mark) of the Italian Touring Club. The town rises on a rounded hill, on its top there is the main square dedicated to Pope Albino Luciani (Giovanni Paolo I), where you can see wonderful palaces, once seat of the local nobility.Close to this wonderful square, there is the hotel “Al Moro”, which has more than one hundred years of activity dedicated to its numerous and affectionate customers. The hotel has spacious dining rooms that can accommodate over 200 people,15 bedrooms with bathroom and phone and an open garden with a gazebo and games for children. The tradition goes on in the name of Silvio with the usual welcome, professionalism, the smile and the familiarity, run by his daughters Luciana and Roberta.